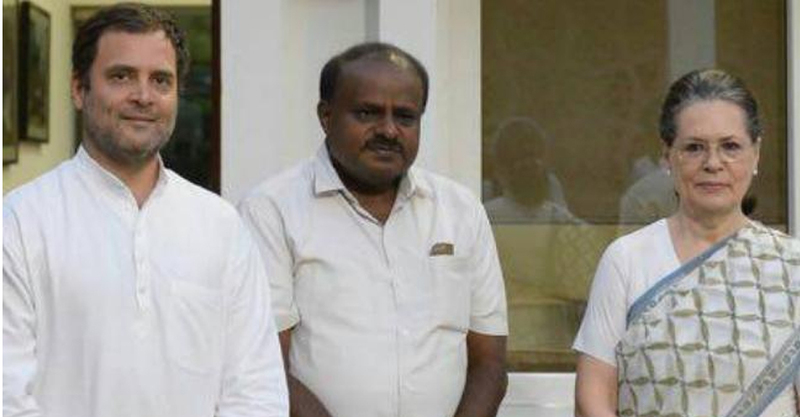 The Congress and the JD(S) announced that they will contest the 2019 Lok Sabha polls together. The two parties also made official the power-sharing deal for their coalition government in Karnataka. “We (Congress-JDS) have come to a conclusion regarding cabinet expansion and portfolio allocation. JD(S) will be holding the finance portfolio. Everything is settled,” Congress leader KC Venugopal said at a press conference along with chief minister HD Kumaraswamy. The expansion of ministry will take place on June 6, Kumaraswamy said. As per the deal, Congress has got 22 ministries including home, irrigation, health, agriculture and women & child welfare. The JD(S), however, will handle 12 ministries, including finance & excise, PWD, education, tourism and transport.